EASTER should involve hot cross buns, not hot, cross travellers - slow down and take regular rest breaks, the Chief Executive of the Australian Trucking Association, Stuart St Clair, said today. "At holiday times, motorists often feel under pressure to push on to their destination, even though they're tired. The results can be disastrous," Mr St Clair said. 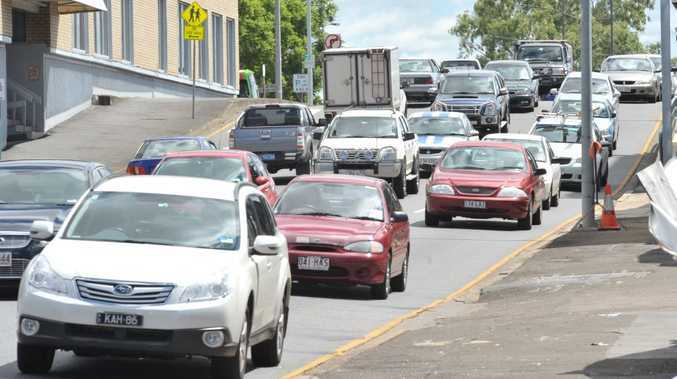 "That's why the ATA is asking motorists on the road this Easter to slow down and take regular rest breaks: have a snack, have a stretch and give the kids a run around." Likewise, Mr St Clair asked truck drivers to be patient with the additional holiday traffic. "Trucking businesses and drivers should remember there will be more cars on the road - as well as motorists driving longer distances than normal, or towing a caravan or boat on a once-a-year trip," Mr St Clair said. "We all know there will be delays, so factor them in to Easter schedules so you don't need to make up time. Also keep in mind that many motorists are not familiar with their holiday areas, and may be nervous driving on unknown roads." Stick to the speed limit and take regular rest breaks. Don't start your long trip on Thursday night after a full day at work. You can't drive safely when you're tired. Get a full night's sleep before you leave. Don't cut in front of trucks as they slow for traffic lights or when you're out on the highway. A truck needs a greater distance to stop than you expect, because they are much heavier than cars. Truck drivers should make sure they stay well back from the car in front, and give themselves plenty of room to react to changes on the road. Please be patient if the truck in front of you slows down when it's going up a hill. If you want to overtake, wait till you can see enough clear road ahead.